Les Souers de la Visitation Convent Site: Will the City bulldoze through citizen concerns yet again? Ottawa residents have limited time to try to save the green space on the former Soeurs de la Visitation convent site in Westboro. The grounds of the former convent building, which is over a century old and of historical significance, cover about 3 acres of the 5-acre property. 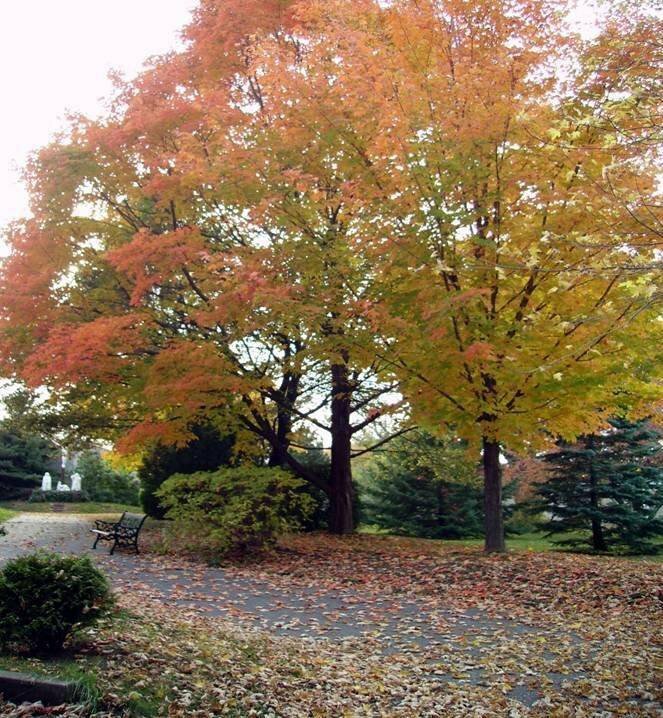 They’re mainly landscaped and include mature maples and a 100-year-old willow tree. Ashcroft Homes purchased the property in late 2009, and plans to redevelop the site for commercial and residential use, with construction of about 600 residential units. Community members and groups have pushed for a number of changes to Ashcroft’s original plans, and are now hoping to save the gardens as a public park. For this to happen, the city would need to purchase all or part of the grounds. In November, the city’s Planning Committee passed a motion allowing until the end of March to develop a plan to acquire the parkland. The matter goes before City Council this Thursday, March 10, 2011. Community groups say the park would be a much-needed community space, comparable to the Arboretum. They’ve proposed several options for funding purchase of the land (including use of some of the ward’s and city’s cash-in-lieu of parkland funds, and/or development charges), but the local councillor, Katherine Hobbs, is entertaining only one of these: a proposed levy for ward residents. Last week, Councillor Hobbs announced that the land in question had been appraised at $11.5 million. This is far higher than previous estimates of the land’s value, and is almost as much as Ashcroft paid for the entire site ($12.5 million) in 2009. Such a levy would translate into $97 a year for 10 years on a Kitchissippi home assessed at $380,000. Community members and groups are questioning the appraisal, as well as the lack of consideration of financing sources other than a 10-year levy, and the lack of an adequate time frame and transparent process. They’re asking people to raise their concerns with city councillors and the mayor before March 10. Is this green space worth the effort? It’s different, ecologically and in scale, from the South March Highlands, which I’ve written about previously. But watching events unfold around the Ashcroft site, after seeing what happened with the Beaver Pond forest (now clear-cut by the developer) is like watching a rerun of a bad movie. The same sinking feeling in my stomach, the same sense of powerlessness against a city administration and elected representatives that don’t make much effort to incorporate residents’ views or their creative solutions. Much about these two situations feels similar: the priority given to developers over residents; developments approved despite official plans and zoning that could protect the land; lack of political will to address past mistakes; unwillingness to make an effort to find alternatives. In both cases, the city is not looking out for the interests of residents; it’s left up to individuals or communities to pay attention to what’s happening and to push for the issue to be put on the city’s agenda. Neither of these situations are local or “backyard” ones, despite being portrayed as such. Appropriate and transparent planning matters to all Ottawa residents, and we should all be concerned about how decisions are made that affect our environment, built and natural, and our quality of life. Perhaps it’s time for a city-wide citizens’ movement that will monitor how our government values heritage and green space and how developers influence city planning decisions. The Convent Garden site has a form that people can use to send a message to their councillor with copies to the mayor and city planning staff, and the Hampton-Iona Community Group site has suggestions as to what to ask city representatives to do. You can find updates on the situation at the Convent Garden site, the Save the Ottawa Soeurs de la Visitation Convent Facebook site, or the Hampton-Iona Community Group and Westboro Community Association sites. Isn’t that a spectacular image of an amazing urban park! Good thing the current zoning already protects that part of the site from development!